Within Teamwork Projects, you can quickly add tasks by highlighting text and choosing the quick add + button to the top right of your site. 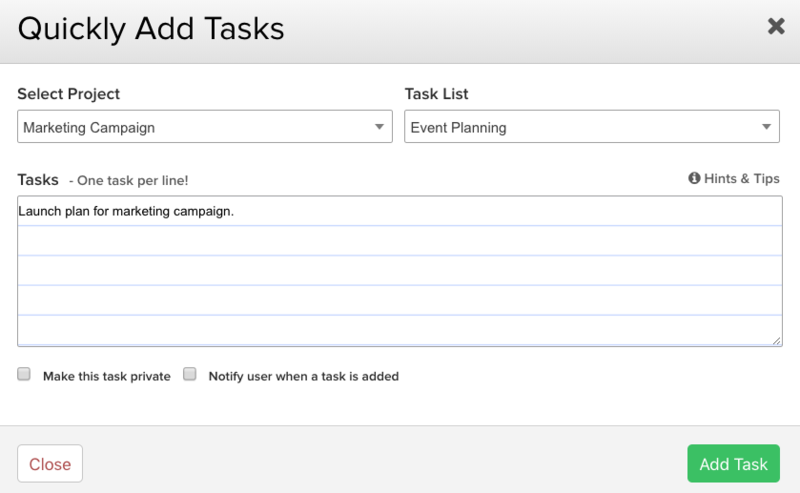 Quickly adding tasks via highlighted text can be done from all areas of projects. To create the task, highlight any text on the page, for example when viewing a notebook. Once your text is highlighted, select the + option to the top of Teamwork Projects and choose Task. Alternatively, press the q then the t key for a shortcut. You will now see a modal pop up with the highlighted text already entered in the tasks area. 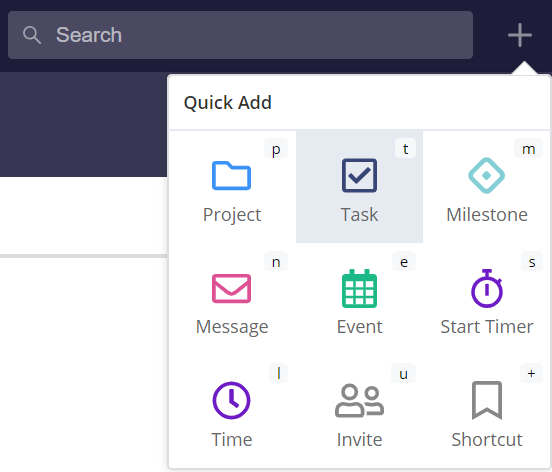 You can then choose to select which project and task list to add this new task to.